Wendell Holland’s victory will go down in history. 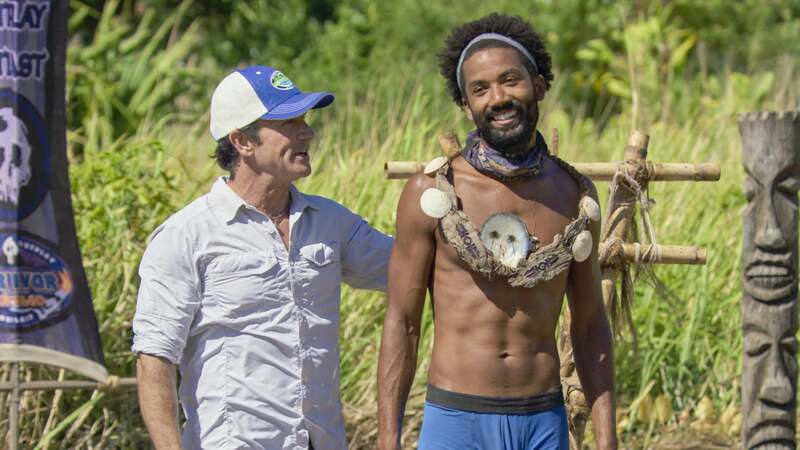 For the first time ever, Survivor: Ghost Island‘s winner had to be decided in a tie-breaking vote at the final Tribal Council after the jury evenly split their ballots between Wendell and Domenick Abbate. 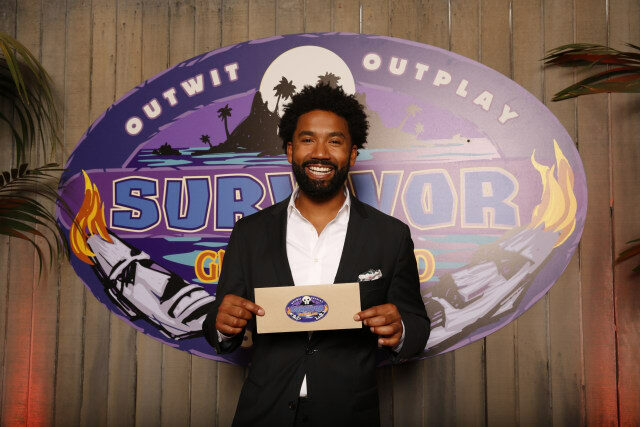 We caught up with Wendell on the Survivor finale red carpet to find out what was going through his mind during that tie and so much more. SheKnows: Congratulations on winning the game! What are you going to do with the $1 million? Wendell Holland: I’m gonna pay off my law school loans with the money. That will be the whole million [laughs]. Then I will have to win another million bucks. It’s a heavy check. This is amazing. I’m going to hold on to this envelope for a long time, but the check is something I’ll make sure to deposit soon [laughs]. SK: Did you know going into the finale that you were going to win? WH: Yes. We [Laurel Johnson] established such a great bond, and I really felt like she voted for me. I felt for the last 10 months that I was gonna win tonight. But you don’t know until you see it written down. In a season of twists and turns, you have to ultimately wait until you hear Jeff read that final vote. It felt great to hear him read it. SK: Jeff Probst predicted you were going to win the whole game before it even started. Did he ever express that confidence to you directly? WH: He didn’t tell me that. What he did say was that he fought for me to get on the show, which is surprising to me because I’ve been fighting to get on the show. I walked in during pre-game and I sat down to just chat with him and a few other producers. He was like, “I fought for you to get here. There were some people who didn’t want you, and I fought for you.” Probst fought for me and I was gonna fight to stay on this thing. I didn’t know that I was his pick. I get home, and I started reading about it, that I was his pick. A lot of America felt that I was gonna win. I’m thinking that I had just won and I had to hold the secret for all these months. It was surreal to be his pick. It was difficult at first to hold that secret. I had to wait for my season and watch Heroes vs. Healers vs. Hustlers first. I was able just to keep quiet and be a fan of the show. SK: What was going through your mind during the tie vote? WH: Everyone casts their votes, and I was thinking, “Thank God. This season is over. I can just go eat whatever I want at Ponderosa.” Jeff comes back out, and he says, “I’ll read the votes.” Even then, I thought he was joking. I was like, maybe he jokes with every season. Then he starts reading the votes. It was a tie. A few seasons ago, they let us know what the tie-breaking rule would be. The third person left at the final three has to cast the tie-breaking vote. I knew Laurel was gonna vote for me, and so did Dom. I was happy and burying my face a little bit, kind of smiling and smirking. Dom’s face was drooping a little bit like he was thinking, “I can’t believe it’s a tie. I thought I had it in the bag.” I think Dom told me he thought he was gonna win 8-2 or something like that. I think a few of the jurors changed their votes in final Tribal. I had to really swing for the fences and rely on my social game. It really paid off. SK: You were very superstitious in the fire-making challenge that you had to stick with the purple workstation. Did you truly believe in the Survivor curses? WH: Yeah, I believed it. I was on Naviti until I was on Yanua. Naviti, the purple tribe, was beating the crap out of the orange tribe. We were just killing them. Call it superstition or whatever. I would love to sit at the purple table for this one last opportunity at beating the orange. It seemed like it paid off. SK: Were you superstitious in other elements of the game? WH: I wasn’t really superstitious. The purple team just had to beat the orange team a lot. That whole Malolo thing, I didn’t want any parts of it ever, even when they divided our teams. I didn’t want anything to do with anything orange out there. SK: It seemed as if you and Domenick were inseparable out there. 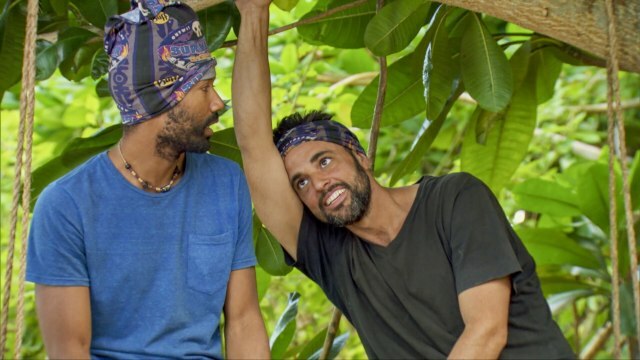 Why were you so connected with Domenick? WH: Dom and myself were two of the older guys on our tribe. We were in casting together months prior, and we exchanged a few looks back then. You can’t talk to anyone, and he just seemed like a Northeast kinda guy. He’s a New Yorker. I’m a Philly boy. We’re close. On the island, we just started feeling each other. There were a lot of young guys out there, we’re both the old guys, so let’s work together. He’s a tremendous player, and I think I’m a pretty good player, too. These two strong players can come together, and we can try to make something good out here. Something good came of it. SK: Since the edit always leaves so much out of the show, what else do you want people to know? WH: In the edit, they don’t show a lot. I was very close with Kellyn and Bradley to start. Those were the people in original Naviti I wanted to go to the end of the game with. I found myself after the first swap getting close with Dom. I knew I wouldn’t work with him because I was going far with Kellyn and Bradley. After the first swap, it was me, Dom, Morgan, Noble and Angela. Me, Dom and Morgan got very close then. The four Malolos that came over blindsided Morgan. That was a bonding moment for me and Dom. We both got slapped in the face. We both realized it was game on. That kind of turned both of our games up a lot. That was the turning point. I got lucky because it could’ve been me. It could’ve been Dom that went home, but it was Morgan, unfortunately. She was another person that could get far in this game. At that point, we got very close and it was game on. Do you think Wendell is the right winner for this season? Join the conversation by leaving a comment in the section below.